The common expression “over a barrel” means that someone is in a compromising position. 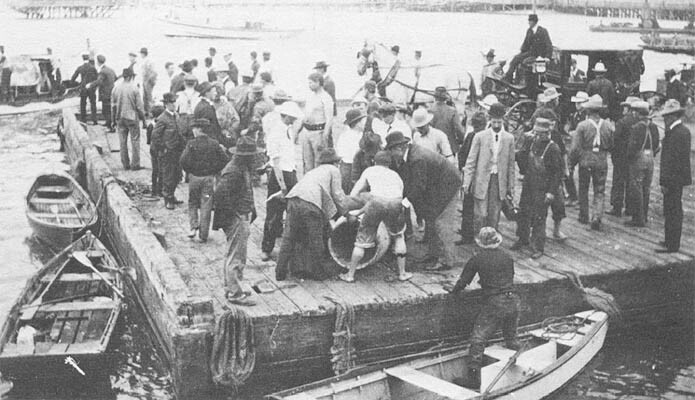 The phrase comes from a time when the method for rescuing a person who had almost drowned was to pull him from the water and start rolling him back and forth over a barrel. Sometimes this treatment did more harm than good! 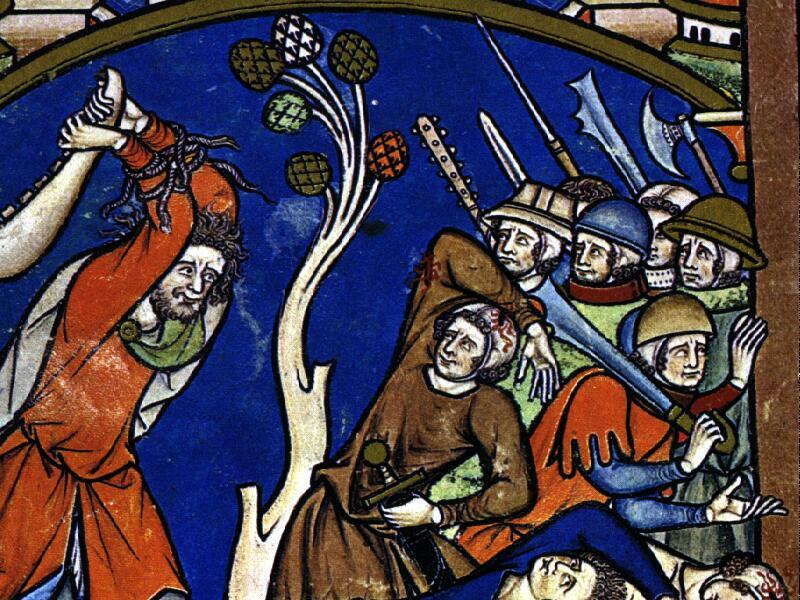 The Bible application for the expression “over a barrel” comes from I Kings 17. The widow at Zarephath wasn’t drowning, though. She was starving. She only had enough meal and oil for her and her son to have one last little cake, after which she was planning on dying. Then, on top of that, the prophet Elijah, the man of God, stopped by and told her to get him some water – and to bring him a little cake while she was at it! The lady could have become exasperated and angry, but instead she exercised her faith. She went and did according to the saying of Elijah. She heard the Word and heeded the Word. As you read this, you are probably not starving to death, but does someone have you “over a barrel?” Financially, your creditors may have you over a barrel. Time-wise, your employer may have you over a barrel. When it comes to being starved for affection, your spouse, your family, or your friends may have you over a barrel. Elijah told the lady that the Lord had fixed it so that her meal and oil would not be completely exhausted. From that day on she never had more than one handful, nor less than one handful. Certainly God was capable of filling her barrel of meal to the top and overflowing her cruse of oil, but, in a time of famine, word might have gotten out, and she might have been robbed. God is often gracious not to overburden us with superfluous blessings. We are in a battle and we need to travel light when we fight Satan. The armor of God has a sword for our hand, but there are no pockets or pouches in the armor for holding supplies. I know next to nothing about cooking, but, I’m just sayin’, the custardy dessert called flan is some GOOD stuff! Actually, it may not be universally good – I’ve only had it a handful of times – but the flan at a restaurant called Rio Mar in New Orleans is definitely one of the best things I’ve ever put in my mouth. I don’t normally write about food on this blog, and I’m certainly not getting paid to promote a restaurant, but let me tell you, if you ever get the chance, go there and order it. In fact, skip the appetizer, salad, and entree’, and just order about eight orders of the flan – it’s that good. I do not know what’s in it or how it’s made, and I don’t wanna know! I have a vague idea that maybe it’s a Spanish dessert, but, I’m just sayin’, it’s probably a good thing that I don’t live in Spain. If this is what they have for dessert over there, I would easily be the world’s fattest Spaniard. In fact, I would change my name to “The Flaniard.” I’m just sayin’. UPDATE: Rio Mar closed at the end of July, 2014. A day of mourning for flan lovers everywhere. Being living sacrifices who are holy and acceptable to God is our “reasonable” service. All Christians have the capability of doing it and doing it cheerfully. The world wants you to be “conformed.” It wants you to be molded in the shape of everyone else who does not obey Christ. The world will put the squeeze on you and change your shape, but it does not have the power to make you grow. “Transforming” is from within. The Word of God has the power to renew us and make us grow. We must read it and heed it each day. Christians have the exciting opportunity to “prove” God’s good and perfect will. If you are truly a Christian nothing should stop you from being right in the center of God’s will. We need to think of our bodies as living sacrifices before we begin each day. Consider your feet, legs, stomach, heart, arms, hands, neck, mouth, tongue – your whole physical body – to be surrendered to the service of Christ. As an example, our natural tendency is to wake up in the morning and start thinking about what we will eat that day – what we’re going to put into our mouths. What we probably need to think about instead is what is going to come out of our mouths that day. Have you surrendered your ears and eyes to the Lord today – to hear what He wants you to hear, and to see what He wants you to see? The surrender of my body and the renewal of my mind are daily requirements. The same principle applies to the “Body” of Christ as a whole. Our love for one another needs to be open, authentic, submissive, and renewed daily.